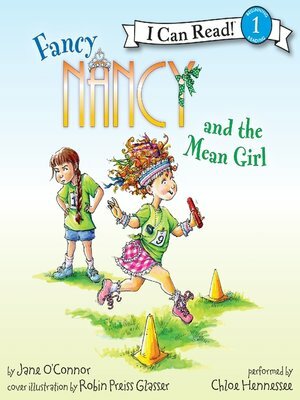 Nancy will have to do some fancy footwork to resolve her predicament in this latest Fancy Nancy story for beginning readers. Much to her dismay, Nancy has been chosen for the relay team in this year's Field Day at school. Despite her many natural talents, Nancy isn't much of a runner. She's afraid of letting her team down—especially after finding out that an unkind (that's another word for mean) girl in her class is on the team too. With a little help from her dad, Nancy tries her best, stands up for herself, and makes a new friend.